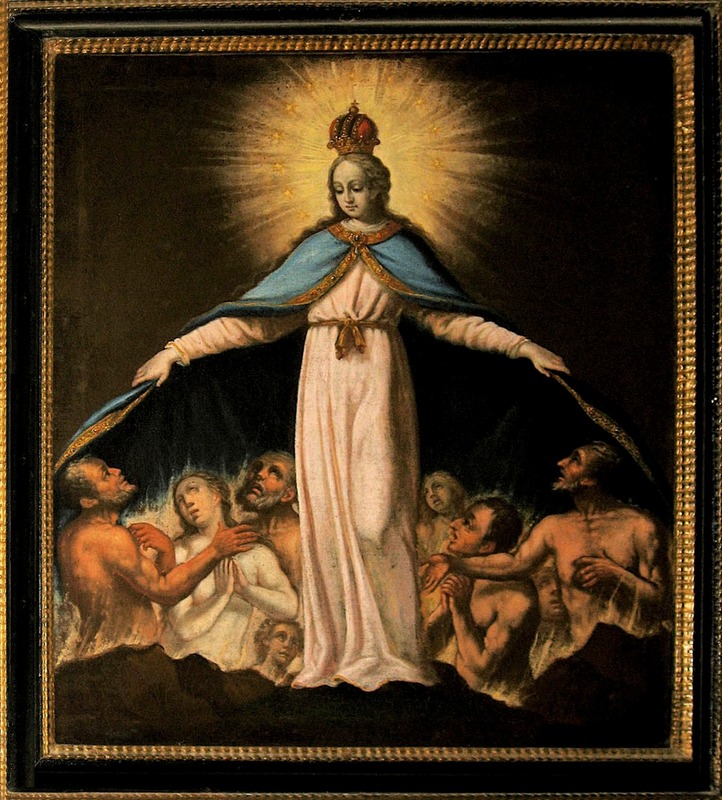 Why pray for the holy souls in purgatory? The belief that love can reach into the afterlife, that reciprocal giving and receiving is possible, in which our affection for one another continues beyond the limits of death—this has been a fundamental conviction of Christianity throughout the ages and it remains a source of comfort today. Who would not feel the need to convey to their departed loved ones a sign of kindness, a gesture of gratitude or even a request for pardon? Now a further question arises: if “Purgatory” is simply purification through fire in the encounter with the Lord, Judge and Saviour, how can a third person intervene, even if he or she is particularly close to the other? When we ask such a question, we should recall that no man is an island, entire of itself. Our lives are involved with one another, through innumerable interactions they are linked together. No one lives alone. No one sins alone. No one is saved alone. The lives of others continually spill over into mine: in what I think, say, do and achieve. And conversely, my life spills over into that of others: for better and for worse. So my prayer for another is not something extraneous to that person, something external, not even after death. In the interconnectedness of Being, my gratitude to the other—my prayer for him—can play a small part in his purification. And for that there is no need to convert earthly time into God’s time: in the communion of souls simple terrestrial time is superseded. It is never too late to touch the heart of another, nor is it ever in vain. In this way we further clarify an important element of the Christian concept of hope. Our hope is always essentially also hope for others; only thus is it truly hope for me too. As Christians we should never limit ourselves to asking: how can I save myself? We should also ask: what can I do in order that others may be saved and that for them too the star of hope may rise? Then I will have done my utmost for my own personal salvation as well. Click here to read the rest of the encyclical. This entry was posted in Pope Benedict, Prayer and tagged holy souls in purgatory, Pope Benedict XVI, prayer, Spe Salvi by texasnuns. Bookmark the permalink. Heartfelt thanks, again, for your selective and meaningful posts that contribute to spiritual development of all who read here.